Lindsay Diaz with son, Arian, stand where their tornado-wrecked house used to. KERA’s series One Crisis Away: Rebuilding A Life—looks at four families on the financial edge still trying to recover from last year’s Christmas weekend tornadoes. Lindsay Diaz has run into one struggle after another since the storms. 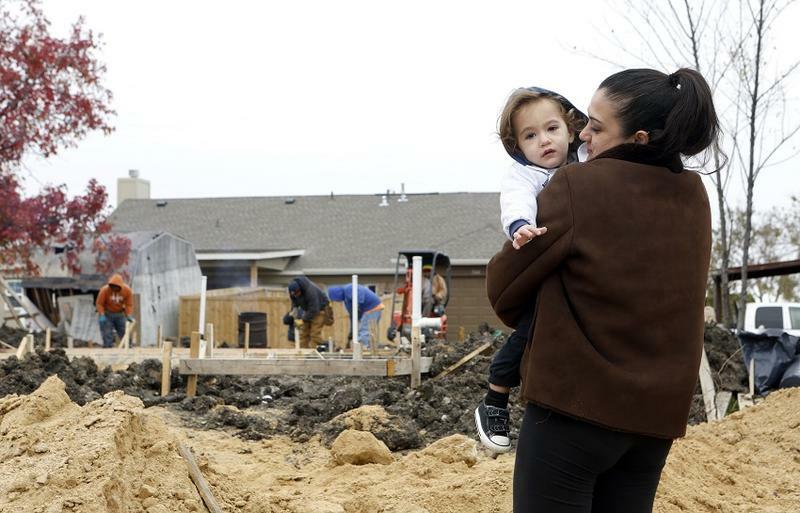 Her underinsured Rowlett duplex was severely damaged—then, just after making the decision to repair her home, a demolition company mistakenly tore down what was left of it. Construction on the rebuild is just now getting started— nearly a year later. Holiday decorations are up, a cork board in the kitchen is tacked with notes and lists, and toddler toys are lined up in the living room. Everything about this rental house seems like home. Lindsay Diaz says, it’s not. They moved into their second rental home in May after their tornado-damaged duplex was mistakenly demolished by a wrecking company. Diaz had homeowners insurance, just not enough of it to pay for all the repairs that were needed. After the accidental demolition, she used her insurance money to pay off what was left of her mortgage—she’d owned the place for a little over three years. This new rental house is costing her $1,400 a month. Her old mortgage payments were less than $700. In August, Diaz filed a lawsuit again Billy L. Nabors Demolition—the wrecking company that razed her duplex by mistake.She took out a loan to go ahead and start rebuilding while she waits on the legal system. The plumbing finally went in a few weeks ago. Hear more of Lindsay's story and see photos of her with Arian. 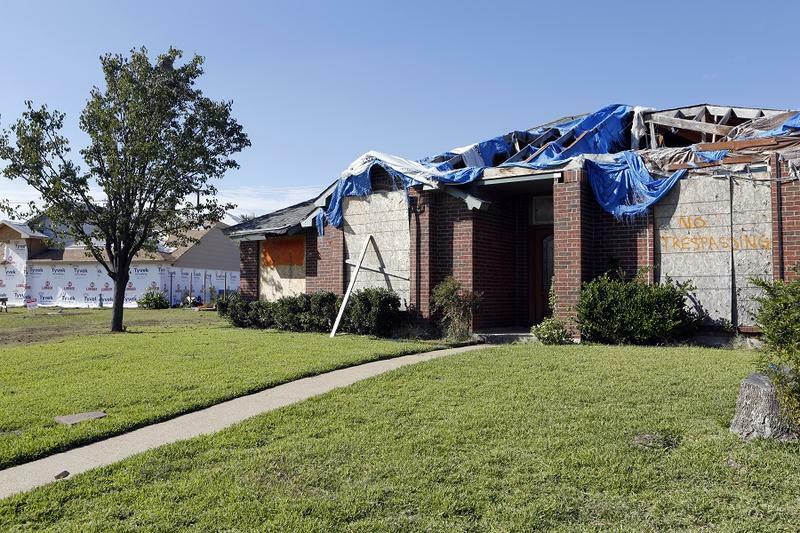 Four families on the financial edge are still struggling to get past last year’s Christmas weekend tornadoes. 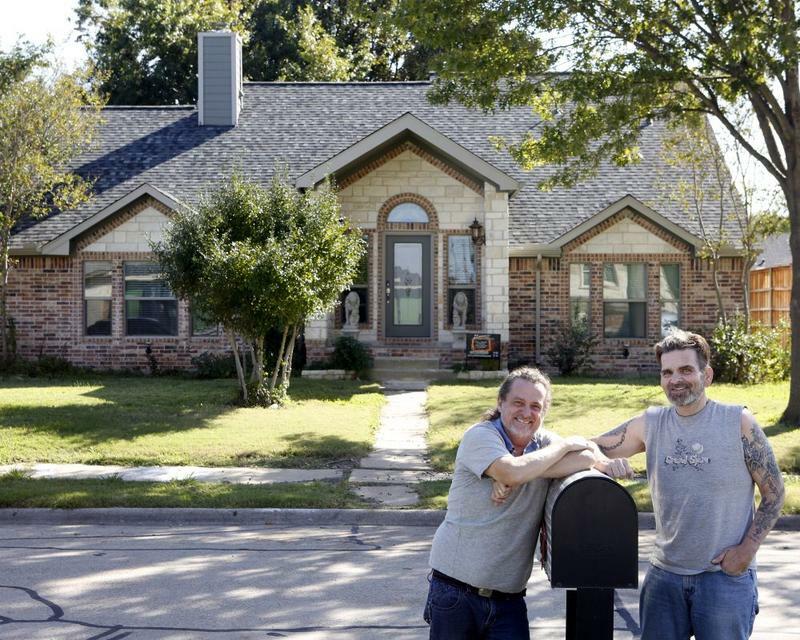 It took 10 long months to put Alfredo and Anthony Fowler-Rainone’s home back together. They waited out the construction in a North Dallas hotel with their three dogs. Now, they’ve moved back in — and, a year after the tornado, they barely recognize their neighborhood. Four families on the financial edge are still trying to recover from last year’s Christmas weekend tornadoes and rebuild their lives. Jennifer Anderson thinks she’s endured her fair share of tragedy. 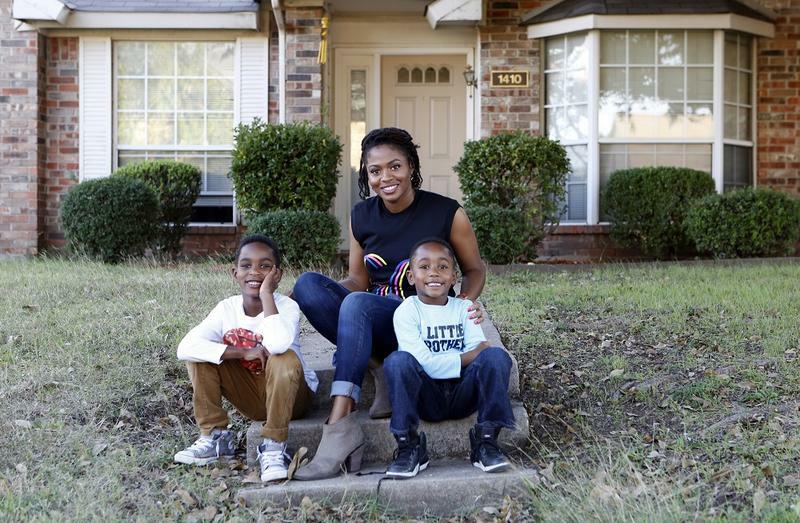 Last year’s tornado ripped her Garland apartment to pieces and she’d lost her husband to suicide just two years before. Jennifer can’t shake the feeling another crisis could be on the horizon, something she struggles with, even a year later. The decorations were still up when a dozen tornadoes ripped through North Texas the day after Christmas last year. KERA has been following four families on the financial edge trying to recover from the storms. We first got to know them last spring, in a series called One Crisis Away: Rebuilding A Life. Now, we check back in with them, a year later. 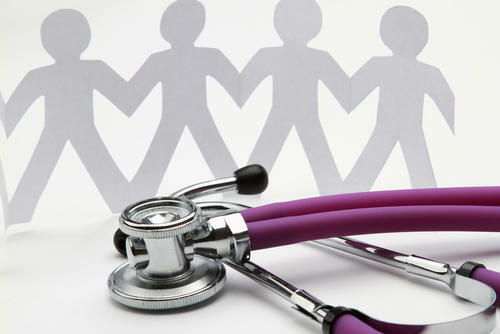 There’s a strong correlation between physical health and socio-economic status. The Corporation For Enterprise Development— a Washington D.C. based nonprofit — recommends bringing financial services, like budget coaching and free tax preparation, into community health centers. CFED's Parker Cohen explains why.